Snowbee XS Plus Spectre Distance Fly Lines - constantly improving, Snowbee continues to explore even more advanced technology and core construction of their Fly Line Range, of which has culminated in the new XS-Plus Spectre Distance fly lines. Although genuine 40-50 yard casts have been achievable using the XS-Plus Extreme Distance fly lines, this is not always possible in less experienced hands. The new Spectre lines, however, take this into account and with a profile manageable for all standards of ability, long, straight and effortless casts are now so much easier to achieve whatever your experience may be. The new Spectre lines have a unique new profile, extending the casting range of Snowbee traditional XS fly Lines and are all 30ft longer to account for this. Available in Floating, Intermediate and Fast Sink options, these all join the elite range of XS-Plus Twin Colour fly lines, indicating the perfect loading point for the optimum cast, when the colour change is at the tip of the fly rod. 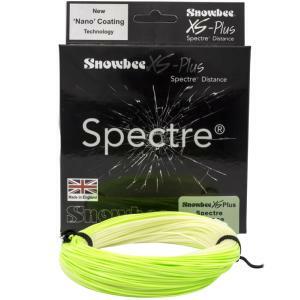 Snowbee XS Plus Spectre Distance Fly Line - Floating - will flatter the casting performance of any fly angler, and if you can cast well, the Spectre Distance Fly Line will make your casting exceptional! 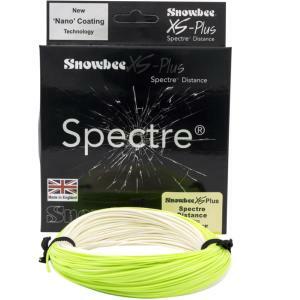 Snowbee XS Plus Spectre Distance Fly Line - Intermediate - will flatter the casting performance of any fly angler, and if you can cast well, the Spectre Distance Fly Line will make your casting exceptional! 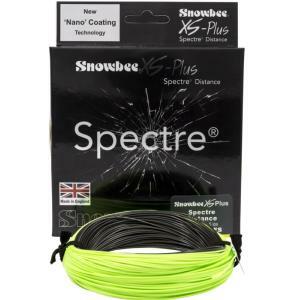 Snowbee XS Plus Spectre Distance Fly Line - Fast Sink - will flatter the casting performance of any fly angler, and if you can cast well, the Spectre Distance Fly Line will make your casting exceptional!